This may come as a surprise to you, fellow puzzlers, but fairness was not always a priority when it came to rolling dice. Nowadays, whether you’re going after that elusive Yahtzee, hoping for doubles to earn another roll in Monopoly, or trying to roll sevens in a game of craps, the basic concept behind throwing dice is that every outcome of a six-sided die has an equal chance to appear. Unless you’re dealing with loaded or gimmicked dice, your odds should be 1 in 6. 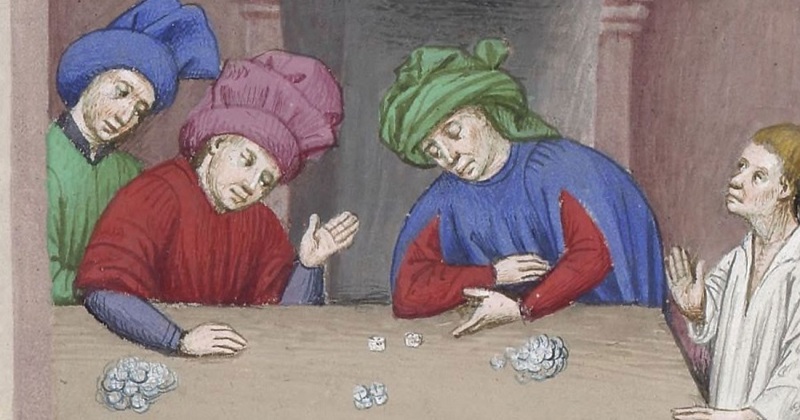 But a recent study by researchers from the American Museum of Natural History and the University of California, Davis, has revealed that fairness in dice rolling didn’t really become a concern for dice users until the Renaissance. Researchers gathered dice spanning 2000 years of human history to explore why this was the case. 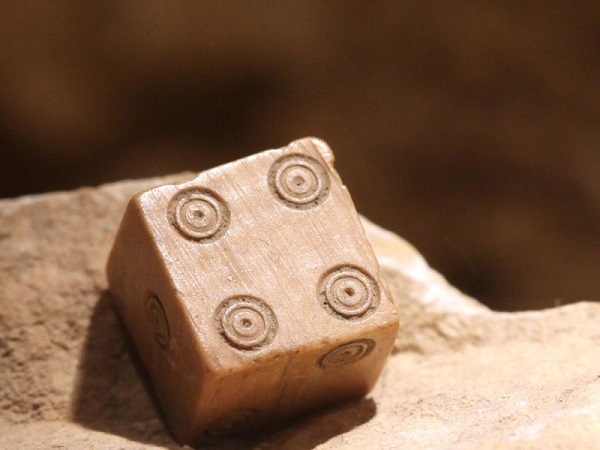 Roman-era dice, the researchers found, were a mess when it came to shape. They were made from a variety of materials, such as metal, bone and clay, and no two were shaped entirely alike. Many were visibly lumpy and lopsided, with the 1 and 6 on opposite sides that were more likely to roll up. 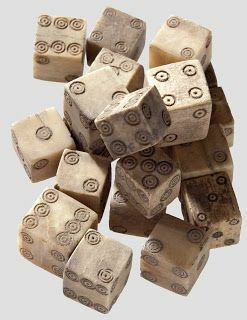 In fact, it seems like variety was the name of the game in Roman times, since the number configurations, shape, and size were inconsistent across the board, although dice were fairly common in the time period. The Dark Ages led to a downturn in dice frequency, as they become very rare between the years 400CE and 1100CE. The use of dice rebounds after 1100, and are most commonly found in ancient Mesopotamia and Egypt in what is known as the primes configuration, meaning that opposite numbers add up to prime numbers. 1 pairs with 2, 3 pairs with 4, and 5 pairs with 6. There was a reinvigorated focus on the mechanics of chance and calculating probability, thanks to names like Galileo and Pascal, as well as a spirit of greater scientific understanding overall. Those Renaissance influences led to both a standardized shape for dice and a change in the numbering system. At this point, most dice convert to the sevens configuration, where opposite sides add up to seven (1 pairs with 6, 2 pairs with 5, and 3 pairs with 4). That change from variable shapes, sizes, and designs reflects a sea change in thinking towards dice and chance. Before, the shape didn’t matter because the results were attributed to Fate or some greater outside force, but later on, an understanding of chance and probability pushed standardization of dice forward. In the end, it’s amazing how much of our culture and worldview, both past and present, can be revealed by exploring how we solve puzzles and play games.